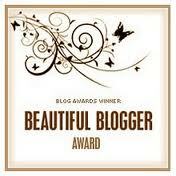 A great big “Thank You!” to Wheelmummy for nominating Stoning Demons for the Beautiful Blogger Award. I am honored (and more than a little giddy) over this. To recognize others who have Beautiful Blogs, these are the sites I feel have given me inspiration. 1. What would you do if you won 5,000 pound tomorrow?? Finish writing my book. 2. Best life time moment?? There are two: when each of my sons was born. 3. Are you happy?? I am working on it. 7. Can you note what you name a good point about you and also a negative point about you?? (after all no one is perfect.) Hmm… good point? I like to think that I am a kind person. Negative point? I have a difficult time trusting people. 8. What is your most embarrassing life time moment?? When I was really suffering from PTSD and ‘lost it’. I didn’t do unkind things, but I did reveal my suffering in embarrassing ways. 10. What’s your biggest love in life? My children. The “One Beautiful Blogger Award” has similar rules to many blogging awards. 1. What would you do if you won 5,000 pound tomorrow?? 2. Best life time moment?? 5. If you could change something in your life what would it be. 6. What is your biggest vice/ bad habit in life ?? 8. What is your most embarrassing life time moment?? 10. What’s your biggest love in life? I’ve been delayed in responding to this, due to the death of one of the siblings of my daughter’s friends. It’s been a hard week emotionally. Thank you so much for the award. I have a post half written and hope to get it done soon.